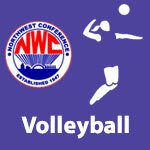 October 2013 – NWC-Sports.com | The Official Site of the Northwest Conference for nwc news, nwc scores and more. 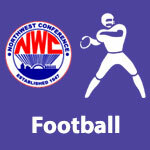 The sixth Football Weekly Computer Point Ratings were released and 3 NWC schools are ranked in the top 8 of their region. 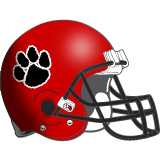 Delphos Jefferson and Anna are ranked in the 7th Weekly AP Ohio High School Football Poll. Delphos Jefferson is ranked 5th and Ada is ranked 14th in Division VI in the 7th AP State Football Poll. The fifth Football Weekly Computer Point Ratings were released and 2 NWC schools are ranked in the top 8 of their region. Delphos Jefferson is ranked in the 6th Weekly AP Ohio High School Football Poll. Delphos Jefferson is ranked 4th in Division VI in the 6th AP State Football Poll. Columbus Grove senior Julia Wynn was voted the 2013 Northwest Conference “Player of The Year” Monday night, at a meeting of conference volleyball coaches at Delphos Jefferson. Wynn earned the top honors this year after finishing second in last year’s balloting. 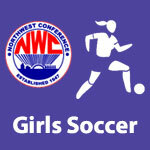 Susan Jones of Columbus Grove was voted NWC Coach of the Year by her peers. The fourth Football Weekly Computer Point Ratings were released and 3 NWC schools are ranked in the top 8 of their region. Delphos Jefferson is ranked in the 5th Weekly AP Ohio High School Football Poll. Delphos Jefferson is ranked 6th in Division VI in the 5th AP State Football Poll.